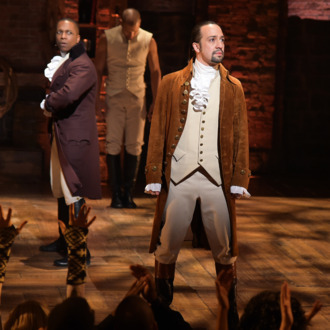 Lin-Manuel Miranda will be in the room where it happens once more — that is, at the Beacon Theater, site of the 2016 Tony Awards. Andrew Rannells and Nikki M. James read off the nominees this morning, and Hamilton scored a record 16 nominations, beating out The Producers and Billy Elliot, which previously earned 15 nominations each. Hamilton’s nominations included Best Actor in a Musical for both Miranda and Leslie Odom Jr., Best Direction of a Musical for Thomas Kail, and Best Actress in a Musical for Phillipa Soo. Among the nominees were Lupita Nyong’o for Eclipsed, and Michelle Williams for Blackbird. Audra McDonald, long considered a shoo-in for Shuffle Along, did not score a nomination. James Corden will host the ceremony at 8 p.m. on June 12*. Here’s the full list of the nominees. * This post has been corrected to show that the Tony Awards will be broadcast on June 12.